Gettysburg College is two states away, but just 85 miles north of Fairfax County, VA! With 15 other independent educational consultants, Sandy received a whirlwind tour of the historically situated campus. Highlights included presentations from the Eisenhower Institute, the Garthwait Leadership Center, the Center for Global Education, and a personal tour of the battlefields from two history majors! We were also treated to wonderful meals, including two delicious lunches with students at their acclaimed dining hall, and dinner with President Riggs and her husband at their lovely home, where we were entertained by students from Camerata (Gettysburg's chamber music choir), part of Gettysburg's Sunderman Conservatory of Music. Of note: Gettysburg's personalized, student-centered focus extends to administration: each student has a designated financial aid counselor! After attending the IECA Fall conference in Los Angeles, Sandy traveled 60 miles east to visit the University of the Redlands, home of the Bulldogs! The beautiful Redlands campus -- think palm trees, with lots of flowers and green space, and the mountains in the distance -- is also unusual in that it combines a student-centered liberal arts college with many preprofessional offerings, such as business, education, and communication sciences and disorders; there is a 3/2 engineering program with Columbia University. Sandy was invited to visit Trinity University in San Antonio, Texas, for their annual Independent Educational Consultant Fly-In Event. The group of 25 college consultants was treated to a river boat ride, a campus tour, a student panel, and many chances to speak to faculty and staff to discuss the many programs and opportunities available to Trinity's notably diverse student body! Top tip: 20 freshman applicants are selected for full-tuition scholarships to Trinity every year! Sandy attended the NACAC conference in Salt Lake City (and visited the park-like campus of the University of Utah, a mere three miles from downtown!). The conference included a college fair and a variety of presentations, learning sessions, and opportunities to meet with counseling professionals from both sides of the desk! Sandy attended Penn State's first ever Counselor Event during the Scholar's Day Open House for prospective students. 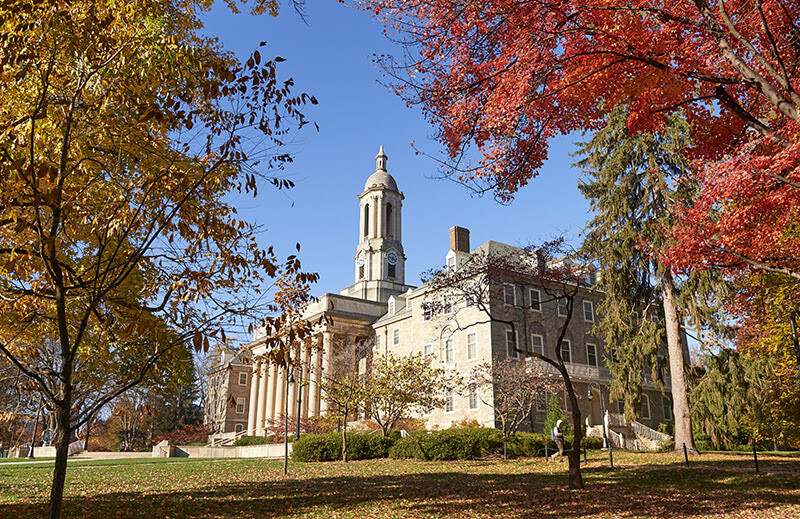 Penn State's Schreyer Honors College promotes academic integrity, a global perspective, and opportunities leadership and civic engagement. Showcasing Missouri’s colleges and universities, with a focus on Science, Technology, Engineering, Arts, and Math. Sandy attended the Higher Educational Consultants Association conference in Dallas, Texas, where she focused on learning more about different application processes, to include the Coalition Application and how to help students select among application options; Apply Texas and navigating this unique application; international applications to the UK & Australia; and the transfer admissions and application process. She also gained insight to the college financial aid office from Texas Christian University's Director of Scholarships and Financial Aid. After the conference, Sandy hopped on a bus with 50 colleagues for half-day visits to the wonderful campuses of Baylor University, Texas A & M, Rice University, and the University of Houston! The College of Wooster, one of the Colleges That Change Lives, hosted a group of independent educational consultants to help us learn more about this premier college for mentored undergraduate research. Our visit coincided with the campus-wide presentations of graduating seniors' Independent Study projects; we were able to sit it on several of them! We also toured campus, enjoyed entertainment by one of Wooster's a cappella groups, visited the site of the almost completed, state-of-the-art Ruth W. Williams Hall of Life Science, chatted with students, staff and faculty, strolled through the charming downtown, and witnessed the collegiality and camaraderie Wooster is known for! A member of local Potomoc and Chesapeake Association of College Admission Counseling (PCACAC), Sandy attended the annual conference -- this year in Dover, Delaware. After attending two days of presentations and a college fair, Sandy walked the campus of nearby Delaware State University and took a short road trip to visit the University of Delaware in Newark. This tour started in Vancouver, Canada, with visits to the University of British Columbia and Simon Fraser University. Next, we visited five Pacific Northwest colleges and universities: University of Washington, Seattle University, the Evergreen State College, University of Puget Sound, and Western Washington University, all of which are in, near, or a short drive from the lovely green city of Seattle! Our tour began with event-filled visits to Winthrop University, Wofford College, Furman University and Clemson University, all in northwest South Carolina. Next, we had a lovely tour and lunch at the University of South Carolina, located in South Carolina's capital city of Columbia. Lastly, we landed in the historic port city of Charleston, where we toured The Citadel and the College of Charleston; and had time to wander through the downtown shops and waterfront park! SJC College Counseling founder, Sandy Clingman, received the prestigious Katz Award at the Independent Educational Consultants Association (IECA) Conference in Washington, DC this week. Sandy was one of 36 members recognized for volunteer work with underserved students as part of The Possibility Project. The Katz Award is presented in honor of Irvin W. Katz, an IECA founder; and treasured mentor and educator to many. His life of service and commitment to young people is remembered through these annual awards, established by his family in 2006 to recognize extraordinary community service contributions by IECA consultants.